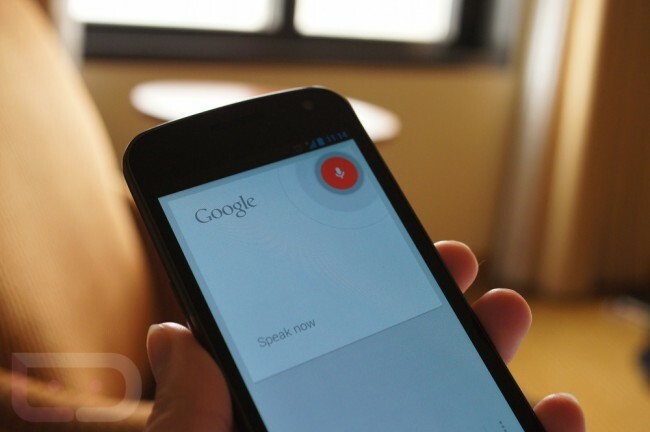 Google Now and Voice Search have grown a lot over the last couple of years. Google has added in a ton of different searches that can be performed with your voice, many of which are likely not even getting used simply because people probably don’t know they exist. With videos such as the one below, an average user shows off a variety of the new searches that can be performed using your Android device, as long as it’s running Jelly Bean. For some example, conversational searches allow for a user to not have to repeat themselves when making inquiries. And we’re not talking about simply asking who the President and his wife are, we’re talking about starting with a city, moving onto its population, then mayor and wife – stringing numerous queries together. You’ll find that location-based reminders, finding photos in your G+ feed that were taken during recent trips, having Google show you indoor locations in Maps, or traffic in a nearby city, all can be accomplished with your voice. These features aren’t necessarily new, but when you get down into the weirder searches and tasks you can perform, it reminds us that we have been barely using Google Now to its full potential. Give the video below a watch and then go do some searches.